NOTE! The following paper is just an example written by one of our staff writers. If you need an original summary of Narrative of the Life of Frederick Douglass feel free to place your order. The following Narrative of the Life of Frederick Douglass Summary analyzes three sections of the book briefly. Narrative of the Life of Frederick Douglass is more of a map that defines the way people can follow when they want to free themselves from slavery. At the beginning, Douglass is a slave as he was born by a slave mother at a plantation known as Colonel Lloyd’s plantation. During his stay at the plantation, Douglass witnesses horrible things such as seeing his own aunt, Hester, being whipped; he does not know his father, he is allowed to be with his own mother for some time and is denied the chance to attend to his mother’s burial (Douglass, 2000). The second phase of the narrative begins as Douglass who is 7 years old at the time is sent to work for new Baltimore masters. In Baltimore, Douglass starts a new life with new experience as the region is like a new world to him. It is in Baltimore when Douglass discovers the benefits, power and significance of education. He is so lucky to receive education under guidance of his master’s wife who volunteers to teach him how to read. Although the master’s wife teaches him how to read, the master is not happy about the incidence and goes ahead to quarrel with his wife. It is at this point that Douglass discovers that slavery exists due to ignorance from fellow slaves. He decides to find ways on how to educate himself to read. As Douglass grows up, he decides to fight for his freedom. It is at this point, that Douglass’s master decides to send him to work for a ruthless master called Convey who is also known as a “slave breaker” because of his ruthless acts on slaves. At first, Convey manages to destroy Douglass’s spirit to free himself. This continues until his third epiphany where he prefers to die rather than being a slave (Shmoop, 2010). Douglass fights Convey for two hours as he defends himself from being whipped by Convey. Convey decides to leave him alone and never whips Douglass again. The narrative continues as Douglass bounces from one master to another until he manages to make his way to New York as well as Massachusetts. After a while, Douglass achieves his dream of being free and swears to never rest until all forms of slavery are abolished. In his efforts, Douglass manages to write the narrative about his life in order to educate other people on how to find their way out of slavery. The Narrative of the Life of Frederick Douglass presents very crucial, relevant and even reliable message. The narrative about Douglass’s life proves that slavery actually existed in America. Many people may view the book as anti-slavery propaganda, but in real life, slavery existed as put forth by Douglass. This narrative remains as one of the crucial historical documents, as it unveils how American slaves such as Douglass lived, experienced and even had to go through. The book also talks of how Douglass fights his way to freedom from slavery. Douglass put it forth to all slaves that there is a way out of slavery (Trotman, 2011). Moreover, he enlightens both blacks and whites on the price of ignorance towards education as it makes people slaves to the educated. Additionally, Douglass’s main aim is to enlighten the whites on how easily they can be corrupt through practicing slavery and thus, it is wrong as well as contradictory to Christianity. Narrative of the Life of Frederick Douglass puts it to people that they were created equally and thus, one can decide on how and who he wants to be in future. He moves further to explain that education plays a great role in a person’s transformation and development. Douglass believes that education played a crucial part in his fight for freedom as it enlightened him as well as changed his perspective in life. Ultimately, Douglass unveils how he suffered while under the chains of slavery. On top of that, the book shows that American government at the time of Douglass actually legalized slavery trade. In addition, the American nobles counted a slave as a less valuable item and thus seen as three-fifth of a person. Douglass compares American hero Henry to slaves since both of them are willing and eager to die for their freedom. Many people admire Douglass’s courage to fight for his freedom. Douglass, being as young as he was at the time, lays his life and strength towards fighting slavery. He moves further to enlighten his fellow slaves on how to free themselves. A lot of people love Douglass’s eagerness and willingness to learn how to read at a very tender age. The Life of Frederick Douglass is an inspirational narrative aimed to change the view of many young people who hate education. The narrative puts it clear that they will ignore education but end up being slaves to others. Many also love the fact that Douglass is willing to put his life at stake in quest to abolish slavery completely. However, many people dislike the fact ancient Americans, especially the whites, mistreat the blacks. The Narrative of the Life of Frederick Douglass summary uncovers the fact that even the government has supported slavery for as long as a black man was involved. These actions display racism as well as inhumanity towards the blacks. The whites enslaving the blacks actually display how inferior blacks were viewed during the time. Douglass, F. (2000). The narrative of the life of Frederick Douglass. S.l. : Quiet Vision. Shmoop. (2010). 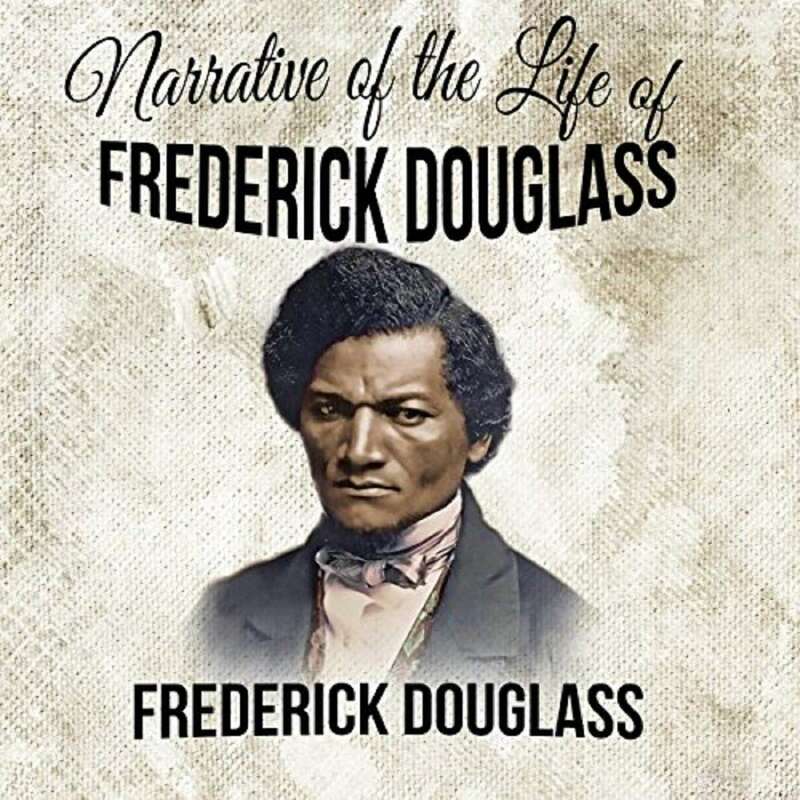 Narrative of the life of Frederick Douglass by Frederick Douglass. Sunnyvale, Calif.: Shmoop University. Trotman, C. J. (2011). Frederick Douglass a biography. Santa Barbara, Calif.: Greenwood.